Home / Batch File / programming / windows / DOS Command "Attrib"
Attrib is used to set an attribute of any folder or File. 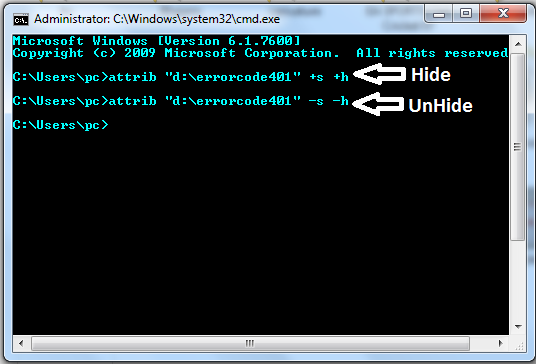 you can hide your file or Folder using this command. Let's Start. 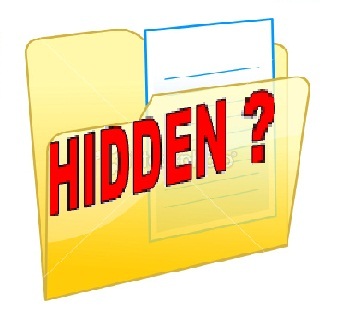 Step 3 : Suppose you want to hide your "EC401" Folder which is in D drive. Then you have to write. >>> When you want this folder again then you have to just replce "+s +h" with "-s -h" in above command. >>> If You want to hide only one File/Folder Every Time Then You can also create Batch file for this. Just Make Two Batch File Which contain Set Attribute Command [To Hide]. Second for UnHide Command. Note : If you want to Hide your File then you have to specify file extension.